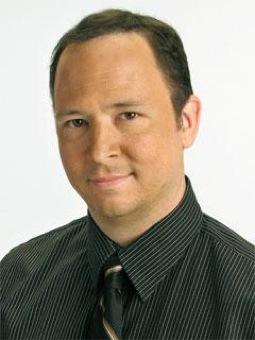 FrontBurner's Tim Rogers first reports and unclebarky.com confirms that traffic reporter Todd Carruth will be leaving the Fox4 building after four years of early morning duty. Before posting, it was best to make sure that playful FrontBurner wasn't spoofing its readers or getting punk'd, which happened yesterday when it bit on a fake story about a Newark, Texas teen's alleged prostitute-juiced spending spree with his dad's stolen credit card. Fox4 had a story on the hoax and thoughtfully showed viewers the since-retracted FrontBurner post on Wednesday's 9 p.m. newscast. "No spoofin' here," Carruth said in an email, "and I don't really want to leave. But those long days are killing me." Carruth, as he notes in his official Fox4 Web site biography, has been rising before 4 a.m. weekdays to be in position for Good Day, which airs from 5 to 9 a.m. He's also had a full-time day job to make ends meet. So he's decided to leave at the end of May to "help put together a multimedia department for a company in Irving that works with trade shows and exhibits," as he told FrontBurner. Fox4 news director Maria Barrs also confirmed Carruth's departure -- with a caveat. "He's not one of our employees, though," she said in a brief telephone conversation Thursday. "He's an employee of Metro Traffic." As previously reported on unclebarky.com, Fox4 reporters Jeff Crilley and Jason Overstreet also are getting out of TV news and starting new careers at the end of May. The station also has lost weathercaster/reporter Maria Sotolongo and reporter Rebecca Aguilar in recent months. Aguilar, as has been exhaustively reported on this site and others, was the only Fox4 news staffer who didn't leave voluntarily. Another possible future departure is Good Day co-anchor Megan Henderson, who's being wooed by Fox News Channel. She's scheduled to meet with its chairman, Roger Ailes, early next month while in New York for a second guest-anchor stint on Fox & Friends Weekend. Add the pregnancy of Fox4 9 p.m. news anchor Heather Hays, who will be going on maternity leave shortly after the May sweeps. So there obviously will be some big gaps to fill in the coming months.